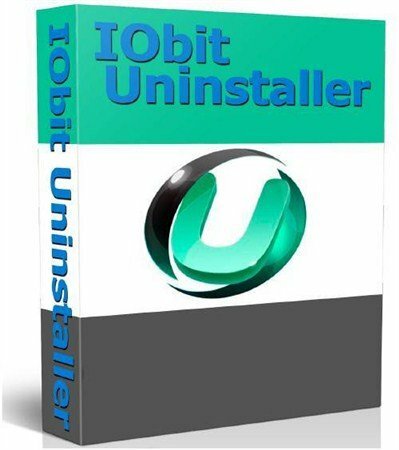 IObit Uninstaller is lightning fast and secure uninstaller software that will help everyone to remove every trace of unwanted programs from your PC. Designed from the ground up to be easily usable by both novices and professionals, IObit Uninstaller manages to detect every piece of data some program has introduced into your system (installation files and folders, temp files, registry entries) and removes them from your system. Interface of the IObit Uninstaller is very nice designed, with main dashboard that immediately lists the currently installed programs on your PC. Each of the listed programs can be hidden from the list, uninstalled, examined online or in Regedit, and users can easily setup batch uninstall. After selecting what programs you want to remove, on the bottom of the app you have to click on the big green button “Uninstall”. All programs can be listed by their name, date of installation, size and frequency of use. In addition to program listings, separate tab lists your all browser plug-ins. This approach to user interface is very straightforward, enabling users with zero technical knowledge to easily and securely remove programs from their PC. You can remove programs one by one, or select as many as you like before they are deleted (this also includes stubborn browser toolbars). Long-developed features such as Forced Uninstall and Powerful Scan have evolved from the previous version of this great program, offering all users more reliable and secure uninstallation of unwanted software. Easily view what has been changed by Advanced Uninstaller. Every time an "Advanced Uninstall" is performed, a restore point image will be automatically set for possible future system restoration. Portable uninstallers rank as some of the most useful tools to have on a USB drive, especially if you're the person who helps technophobic friends and family with their forehead-slappers. We looked at IObit Uninstaller, which is portable freeware. Among its advantages are the ability to find and eliminate leftover files and its Toolbars Uninstallation Module, which targets those pesky adware toolbars that sneak into your system via cleverly configured installers and setup wizards. These toolbars can be a royal pain in the cache, and a free tool that gives them the heave-ho sounded like a winner. As portable freeware, IObit Uninstaller requires no installation itself but runs when you click its program file. A compact, colorful interface quickly populated with our system's installed programs, displaying the size and installation date of each. A useful selection of sorting options runs along the left-hand side, letting users select All Programs, Toolbars, Recently Installed, Large Programs, Rarely Used, and Windows Updates. Commands are labeled Uninstall, Forced Uninstall, Manage, and Clean PC, though the last entry merely accesses another of the developer's downloads. Under Manage, we could manage the log, export the application list, and view the restore point, while the Uninstall command offered Standard and Advanced modes; we selected the latter. Anxious to try the toolbar zapper, we clicked Toolbars and selected two of the four entries, the other two being Firefox add-ons we wanted to keep. 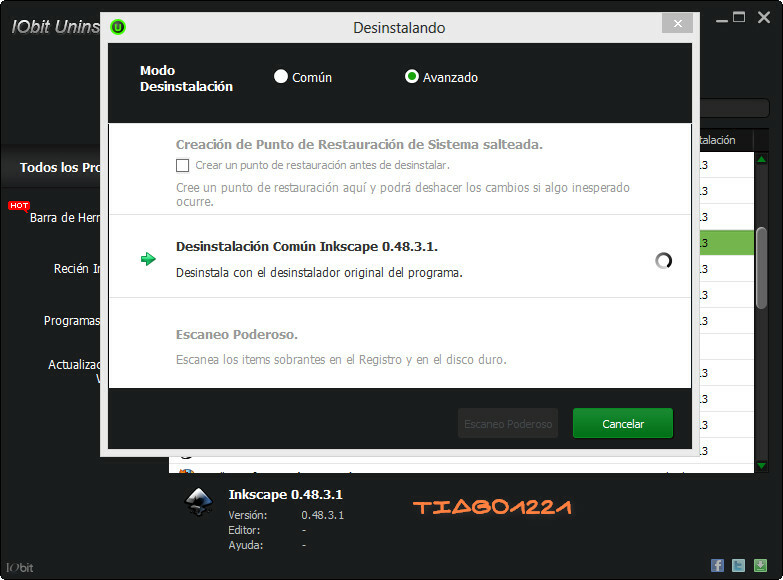 We clicked Uninstall, and a dialog appeared indicating that IObit was creating a system restore point, uninstalling the selection, and optionally scanning the Registry for leftover items. We opted to initiate the scan after the selected programs were removed. Including the restore point and pop-up notifications, the process takes a bit longer than the standard Windows add/remove program tool, but then it does more than Windows does as well. We also found that we had to close browser pages that solicit user feedback when a program is removed to allow the uninstaller to proceed in a couple of instances, so be on the lookout for that. IOBit Uninstaller is one of the most powerful uninstallers we've seen in some time. It takes longer than other tools of its type, but it's thorough. Unwanted toolbars are harder to get rid of than bedbugs in a cheap motel. Just being able to throw those bums out earns IOBit Uninstaller a place in our toolkit. Uninstall programs with IObit Uninstaller. The free software removal program can uninstall programs and clean leftovers thoroughly. As a pure uninstall program, IObit Uninstaller 2 features himself in the market without install required to remove programs. 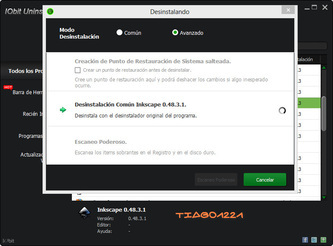 Providing normal uninstall to remove program with its own uninstall part, it also has Powerful Scan and Forced Uninstall modules built in the software that helps you remove programs that are corrupted or cannot be uninstalled by Windows "Add or Remove Programs". 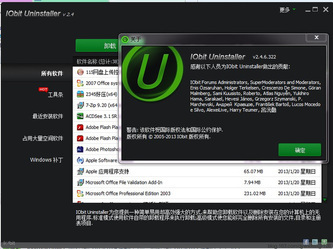 More about IObit Uninstaller 2: Free, Easy and Convenient Uninstaller: IObit Uninstaller 2 is easy and convenient to use without any in-depth computing skills required to perform uninstall. And the best part is it is free of charge. Enhanced program detection: Uninstaller 2 can detect a list of programs in your PC which is now more complete. Restore Uninstall and Log Manager: IObit Uninstaller 2 creates a restore image before every uninstall and you can view the uninstall details in the Log Manager. If any software is uninstalled by mistake, you can restore it with the created image. Forced Uninstall: IObit Uninstaller 2 can find all install files and enforce an uninstall, finds all leftovers when you specify an install file. Enhanced "Powerful Scan": Now the "Powerful Scan" gives you a deeper and more secure scan, especially for the leftover items in Registry. Toolbars Uninstallation Module: With the enhanced Toolbars Uninstallation module, IObit Uninstaller 2 helps you remove unwanted toolbars thoroughly. Programs List: For better applications management, IObit Uninstaller 2 lists program by size, date etc. Batch Uninstall: Uninstall several applications so easily with just one click. Multi-language support: More languages were added in Uninstaller 2. What's new in this version: Version 2.4.7.340 has improved Toolbar Function and fixed General Bugs. Toolbar Cleaner is the best tool if you need to delete toolbars from your browser. Toolbar Cleaner is already removing over 1 million toolbars per month and among the top toolbars deleted, we find Conduit toolbars, Yahoo Toolbar, Ask Toolbar and Google Toolbar, and Bing Toolbar. However, Toolbar Cleaner does more than delete toolbars. In addition to deleting toolbars and plug-ins, Toolbar Cleaner can remove unwanted apps from Google Chrome. Removing apps can be somewhat complicated (go in options, tools, and extensions), and it is much easier to do with Toolbar Cleaner. Toolbar Cleaner will list all the apps for your Chrome browser. You simply need to click the checkbox beside each app that you want to delete and then click on the Delete button and it’s done. One other interesting capability of Toolbar Cleaner is the removal of applications from your Windows startup folder. The startup folder contains all the applications that launches when you boot up your computer. So if you ever want to see what’s in there, you can use Toolbar Cleaner and look for the Windows Startup tab. Again, if you want to delete anything in the list, just click each checkbox and click the Remove Selected Startup Item button. Toolbar Cleaner remains the expert at deleting these countless toolbars. However, you can clean up your Chrome browser and your startup folder as well and it is much simpler with Toolbar Cleaner and it’s free! Toolbar Cleaner allows you remove toolbars that you’re not using or won’t uninstall the proper way.